Funny Women Awards: national comedy talent competition nears its climax! Funny Women is at the vanguard of nurturing and promoting female comedy talent. 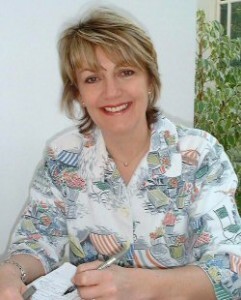 We are delighted to welcome Lynne as a regular contributor and in advance of that we are delighted to announce the climax of the 2010 Funny Women Awards. After a summer spent scouring the country in search of new female talent, Funny Women has invited 24 of the best new acts to be discovered to perform in two nail-biting, back-to-back penultimate rounds at the Leicester Square Theatre in central London on Monday 6th September. The selected acts are: Abigoliah Schaumaun, Arhondia Rocca, Hayley Ellis, Jessica Fostekew, Jill Baxter, Jojo Georgiou, Julia Clark, Katrina Thompson, Kerry Herbert, Lindsay Sharman, Louisa Theobald, Sarah Hendrickx, Shaista Aziz, Sunna Jarman, Twayna Mayne, Alison Thea-Skot, Claire Lomas, Gemma Layton, Helen Arney, Gemma Whelan, Iona Dudley-Ward, Kate Lucas, Rachel Parris, and Freya Slipper and Liz Black as duo, Thankless Child. Compiling the 2010 shortlist has been no easy task for the Funny Women team. Following a record number of entrants, the eighth year of this unique comedy competition has proven to be its biggest and arguably best, yet. A panel of top industry movers-and-shakers, are now tasked with whittling down the hopefuls to just 10 finalists on the night of the two semi finals. The judging panel includes Michael Buchanan-Dunne, development editor for BBC Comedy; Karen Rosie, BBC Comedy producer; Newton Velji, BBC Comedy Development; Al Cowie, promoter, Llaugh; Angie Avlianos, SSVC, which entertains and informs Britain’s Armed Forces around the world; Gillian Thorpe, director of the Orange Tree Theatre, Richmond; Harry Deansway, editor of www.thefixonline.com ; Bidisha, journalist, author and presenter on Woman’s Hour; Norma Burke, comedy producer; Jan Etherington of www.comedycourse.biz , comedy writer and coach; Jonathan Grant of Red 24 Management and Sophie Gagon, of leading talent agency and production company, Avalon. In a further thrilling twist to this year’s Awards climax, Funny Women have teamed up with top London venue The Roundhouse. As part of the iconic Camden Theatre’s Turning Point Festival, Funny Women will be inviting eight featured semi-finalists to take part in a very special “Laugh Chance Saloon” event on Saturday 18th September. Those eight semi-finalists who fall just short of qualifying automatically for the Funny Women Awards final on Monday 20th September, in support of OBJECT, will battle it out for two reserved wildcard slots and in a true test of comedic mettle, it’ll be the audience on the night deciding who goes through. First prize for the overall Awards winner will be a week’s luxury holiday for two at the five-star contemporary boutique Londa Hotel in Limassol, Cyprus. The winner and other finalists also have the opportunity to perform at the Londa as part of the increasingly successful Funny Women tour which takes place at the hotel and attracts big audiences on the island. The winning Variety act will be awarded with a full-length show in the Leicester Square Theatre’s Basement space in early 2011. Previous winners include 2009 victor and CBBC star, Miss London; Canadian Katherine Ryan in 2008; ‘Stand Up For The Week‘ star Andi Osho in 2007 who also hosts this year’s final; Suzy Bennett, who took the title in 2006; Debra-Jane Appelby, winner 2005; Zoe Lyons, who won in 2004, and Sarah Adams, who triumphed performing as Jade The Folk Singer in 2003. Other successful Funny Women Awards finalists include Katie Wix, Anna Crilly, Bridget Christie, Susan Calman, Diane Morgan, Emma Fryer, Kerry Goldliman, Sara Pascoe, Holly Walsh and Sarah Millican who have all gone on to have successful comedy careers performing on the circuit, winning other awards and appearing on radio and television. Tickets for the semi-finals of the Funny Women Awards are already on sale at £12.50 per show, or £10 per show for those on the Funny Women mailing list. Both shows can be booked together for £18.00. Visit www.leicestersquaretheatre.com or call 0844 847 2475 to book. Tickets are also available for the Turning Point Festival, £18 which includes the Funny Women Awards show and a full programme of other entertainment. Visit www.roundhouse.org.uk for more information, and to book.